My friend and I filled our tags in 2 hours this morning. I shot my two with my Sport II 20 gauge using 3" Hevi-Metal #4 shot. Where are you that you are hunting pheasants this early? Or was it a game farm? Well as my status indicates, I'm in Oregon and yes it was at a preserve. Leaving in the morning for 3 days in SD. Okay.... Opening day is over. Is their anything better than watching your first quail of the season flush from the tall grass? Let's recap today. Stop watching the hen quail with awe and get your face down on the shotgun! Okay... I missed :-( But I'll do better next week !! My little 20 guage Monty worked soooo good today (as usual). Just love opening day !! This is for all you folks that get a chance to hunt in the Dakota's and complain if you only flushed 100+ pheasants and only shot 20 or so. I live in Taxachusetts and SAW my first pheasant yesterday. Note that I said SAW one !! Didn't get him or even a shot off. Once I win megabucks, I'll be off to the Dakota's with the rest of you lucky folks. In the mean time, I'm so envious !! There's NO BETTER RUSH than a rooster pheasant flush. Did he cackle for you? Opening day. No, they're not all mine. No roosters in Africa Tim99? 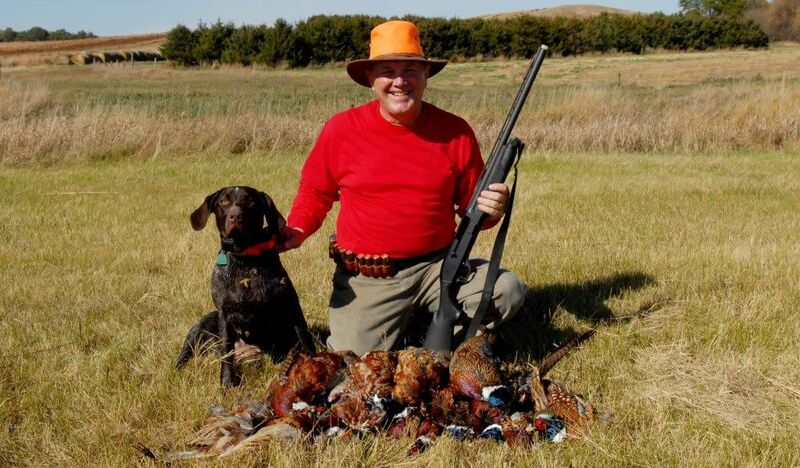 Guineas and Francolin are OK, but there's NOTHING like a rooster pheasant flush! Just returned from SD (East of the Missouri River)…. The pheasant population is down (down... down… down). It’s the worst I’ve seen in years. If you haven’t gone but are planning to do so, don’t bother. Hunters to the West report better results. pretty awesome i got my daily limit opening day nov 12th pheasant parm tonight actually!